a²(w): March?! Let's see those Pantone Quilts! March?! Let's see those Pantone Quilts! How is it March already? I think we need to talk to some scientists because the Earth is turning way too quickly! I'm opening the entries TODAY! Don't worry if you haven't finished, you still have about 2 weeks. 1) Entries will open today (3/4) on my blog and close on Sunday (3/17). I extended the deadline to be on St. Patrick's day, which seemed fitting. Our judges (see below) will narrow down the entries in each category to 1st, 2nd, and 3rd place. Winners will be announced Wednesday March 20. 2) Each entry must include dimensions. Your entry can be a blog post or Flickr post, as long as there are details. Remember, you can enter 1 item in each category. Please check the rules or Flickr group if you have any questions. 3) JUDGES! I specifically chose the sponsors that I approached for their awesome shops and the awesome people who run those shops. There is a lot of talent behind the scenes. These ladies know how to pick fabric, know what good design is, and have a passion for sewing. So who better to judge the contest? 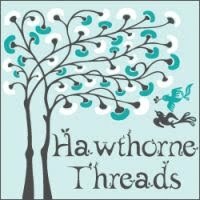 Have you ever met or talked to Charlie and Lindsay from Hawthorne Threads? They are the cutest and genuinely nice people. Plus their reward program is killer. Lindsay used to sell handmade goodies on Etsy and used fabrics in all sorts of awesome ways and combinations. Amanda from Westwood Acres is the sweetest girl I know. She blogs at A Crafty Fox and is always keeping my inspired with her projects. Her FMQ skills are insane and her kids are adorable. Not only does Caitlin from I Don't Do Dishes...I Sew Instead have a cool shop with awesome prices, but she creates some amazing quilts. You must check out her Kaleidoscope Quilt! 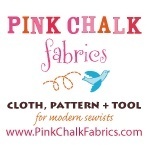 Kathy and her team at Pink Chalk are always a pleasure to deal with. I look forward to their ChalkTalk emails to see what cool projects they are currently featuring and to gather inspiration (and motivation!! 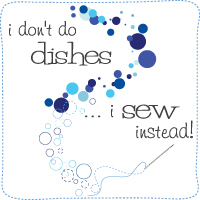 ), and the "What Goes With That" feature on their blog is perfect for adding solids to collections. I think Kimberly from Fat Quarter Shop is so creative because she never sleeps. Seriously. She's just always up selecting new fabric for their shop and looking for inspiration. They also work with bloggers to create Blogger's Choice Bundles. I think it's fun to see what others mix and match (and let them do the work for me ;). Loving all of the entries so far, I can't wait to see what people creat. Just seeing this. I found you while searching for something else. I entered one of my quilt tops. Really pretty and creative entries. Donna at This Year's Dozen blog. I was wondering if "by the 17th" meant that our entries have to be linked by midnight tonight, or if you're allowing entries tomorrow? Another fun challenge! Thanks so much for making it happen and all your work behind the scenes. Love the variety of the entries. Thanks for hosting! What great entries! I've had a lot of fun checking out all the link ups!